I had a little trouble trying to figure out what to conglomerate today. That's why I kept it simple. Navy sportcoat, of course, and a light blue broadcloth, straight collar shirt. 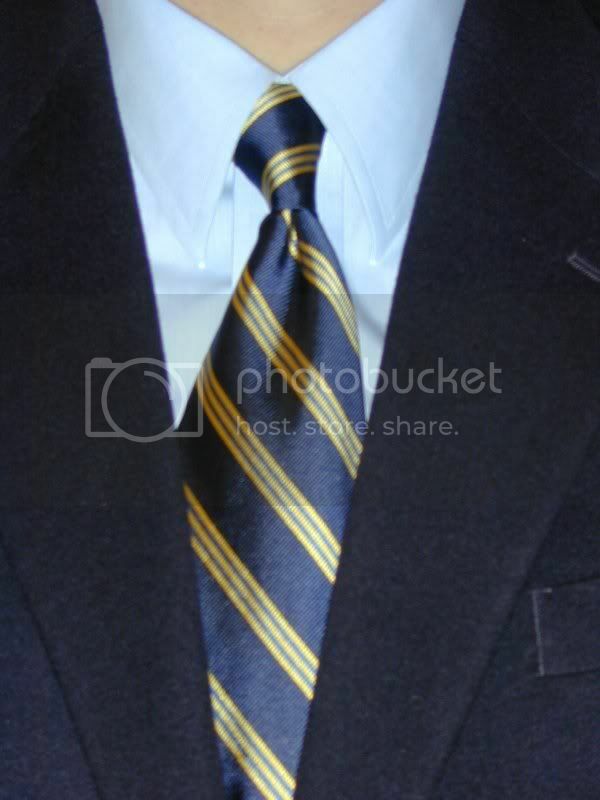 The necktie is a Brooks Brothers navy, gold and royal stripe. It's a "346" which is supposed to be a little better than their "Basics" line. Maybe it has a thicker lining or something. It's knotted four-in-hand to keep with the simplicity theme for a finally a Friday.